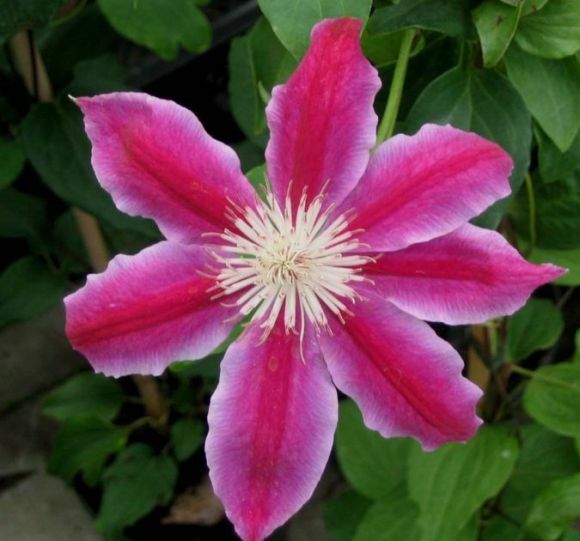 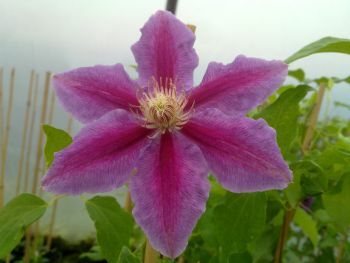 The Clematis Dr Ruppel (shown here growing with miss bateman) has very large mauve and red blooms. 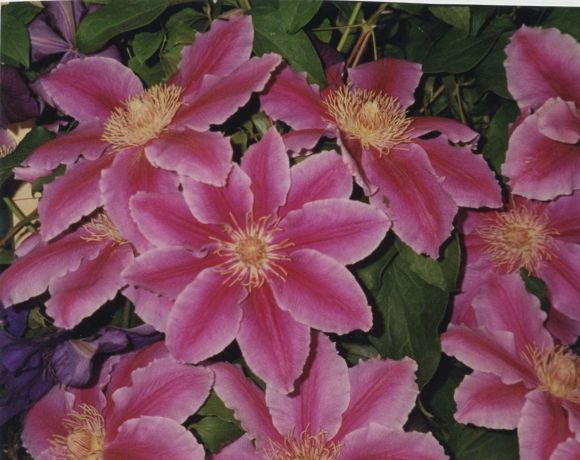 Dr Ruppel flowers May, June and September reaching heights of around 10 feet. 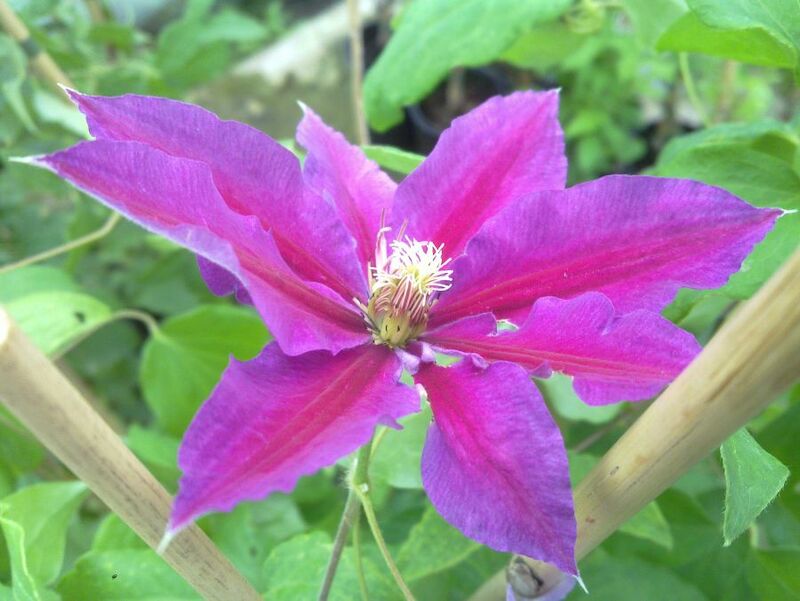 Dr Ruppel has the AGM and can be planted in any aspect of the garden or can grow in a large pot.